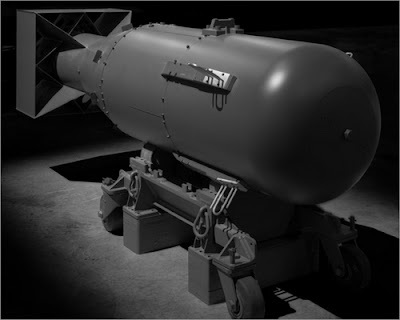 "Little Boy" was the codename for the atomic bomb dropped on Hiroshima on August 6, 1945 by the Boeing B-29 Superfortress Enola Gay, piloted by Colonel Paul Tibbets of the 393rd Bombardment Squadron, Heavy, of the United States Army Air Forces. 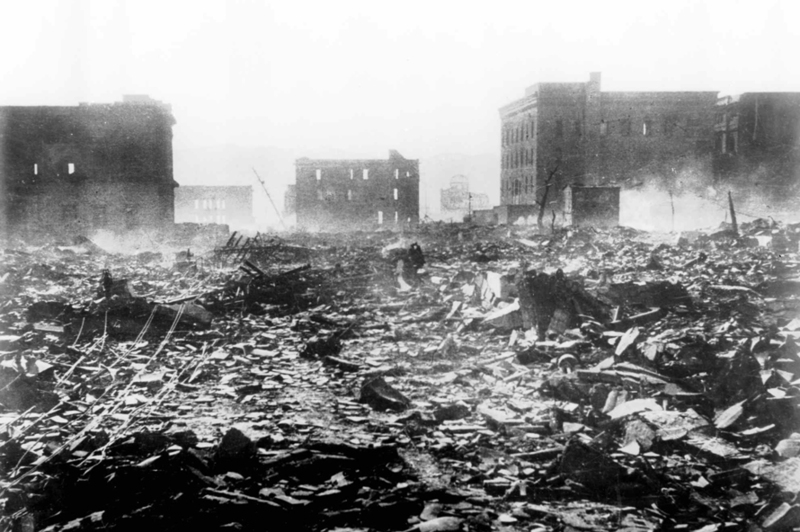 It was the first atomic bomb to be used as a weapon. About 140,000 people were killed or died within months when the American B-29 "Enola Gay" bombed Hiroshima on Aug. 6, 1945. 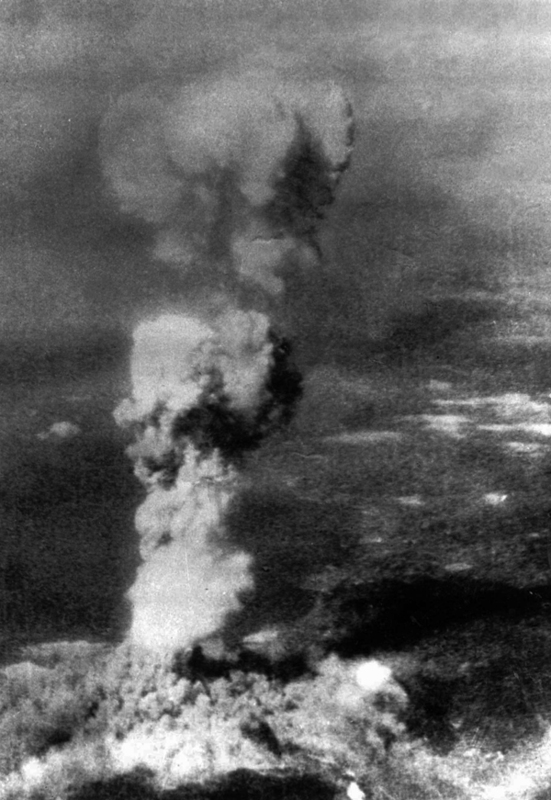 A tall column of smoke billows 20,000 feet above Hiroshima, Japan, after the first atomic bomb strike by American forces on Aug. 6, 1945. 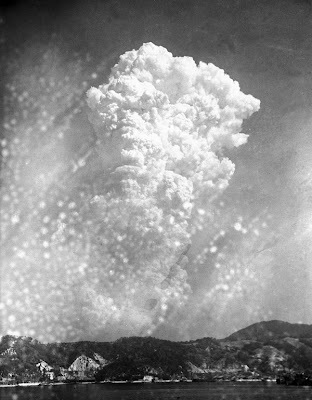 A cloud of smoke 10,000 feet in diameter covers much of the city at the base of the column. 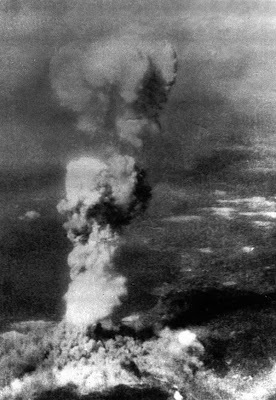 This picture was made by Bob Caron, tail gunner of the Enola Gay, the B-29 aircraft that dropped the bomb. 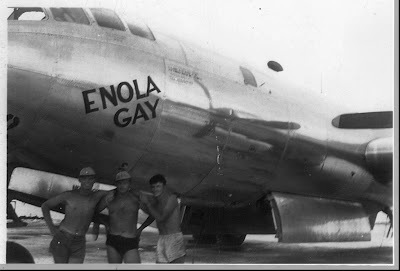 Bill Long (left), Ken Roebuck (center), and Bud Utley (right), standing in front of the Enola Gay the day before they loaded the bomb on board for its historic flight. 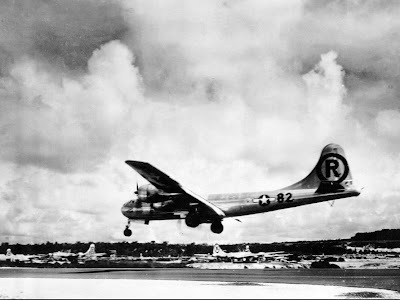 The B-29 superfortress Enola Gay lands at its base after its historic atomic bombing mission over Hiroshima on Aug. 6, 1945. 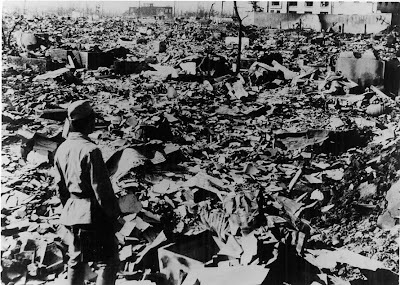 Smoke lingers over this scene of destruction in Hiroshima, Japan, on Aug. 7, 1945, a day after the explosion of the atomic bomb. In the far background right is the ruin of the old domed Industrial Exhibition building, preserved as a memorial in today's Hiroshima. 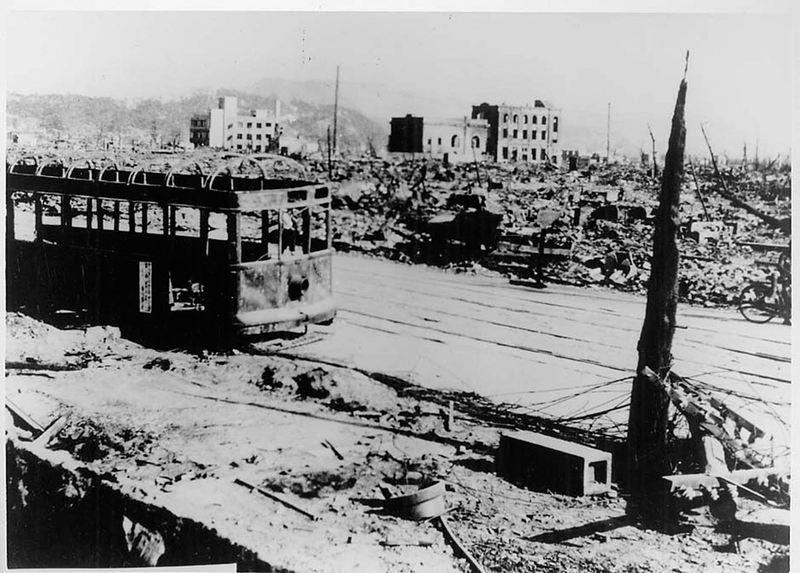 Atomic (Bomb) Destruction of Hiroshima, a charred tram is seen in the middle of a devastated Hiroshima, Japan, 300-meters (328 yards) from the epicenter on Aug. 12, 1945, six days after the atomic bombing by the United States. It was the first use of atomic weaponry in warfare. There were survivors in this tram. 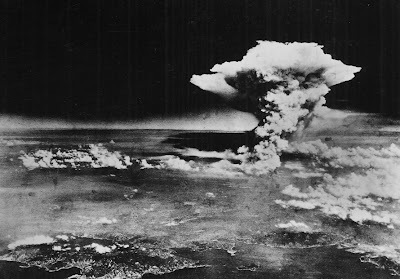 Those who were relatively short survived behind taller passengers in the packed car. 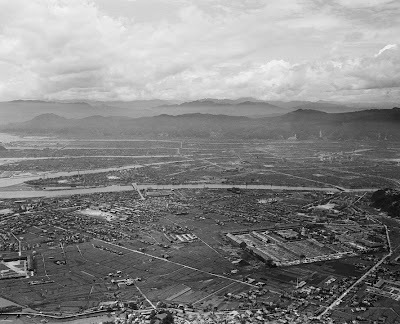 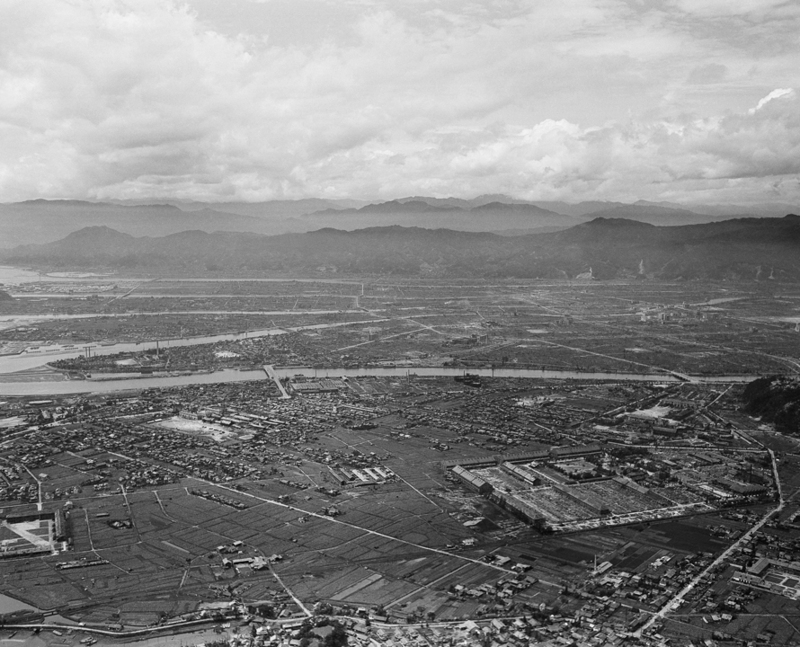 A residential area in Hiroshima, 1200-meters (1312-yards) from the epicenter, in mid-August 1945, several days after the bombing by the United States. Twisted metal and rubble marks what once was Hiroshima, Japan's most industrialized city, seen some time after the atom bomb was dropped here. 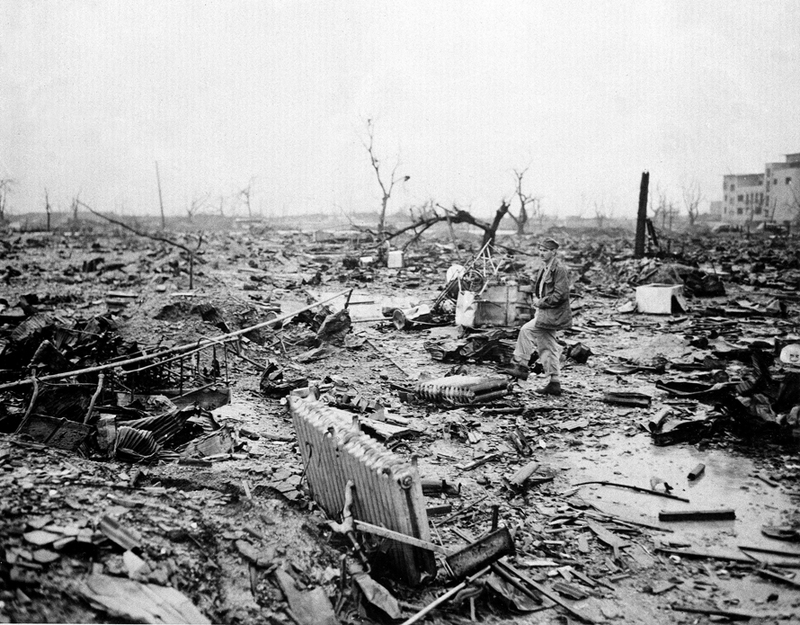 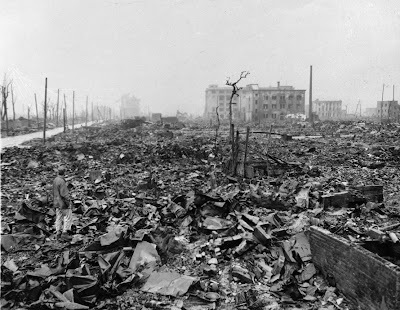 Desolated area, with only some buildings left standing, is what was left of Hiroshima, Japan, Sept. 3, 1945 after the first atomic bomb was dropped. 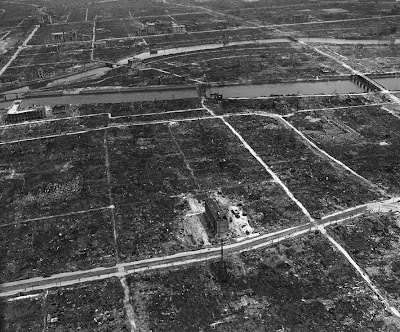 Aerial view of the remains of the city of Hiroshima, Japan, Sept. 5, 1945, one month after the atomic bomb was dropped. 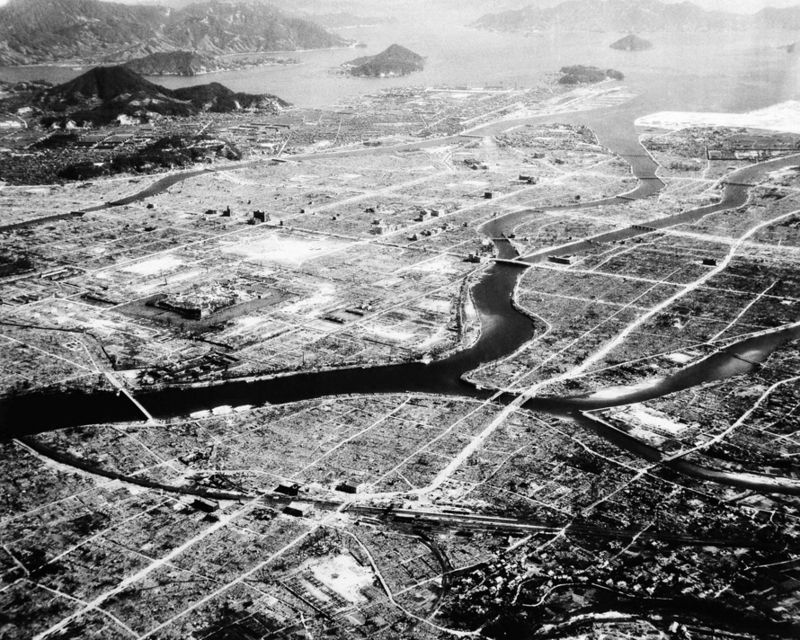 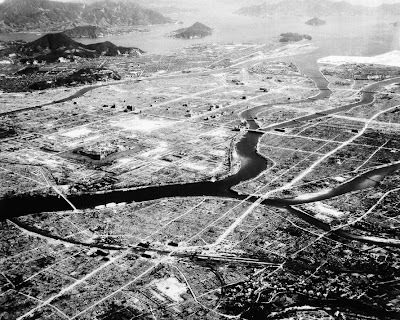 Aerial view of the Japanese city of Hiroshima, Sept. 5, 1945, one month after the atomic bomb attack. Where did you find the picture of the three men standing in front of the Enola Gay? I believe that my great-uncle may be the Bud Utley in the picture, and I am interested in finding the original or a source that might have more photos of him.